The 2nd largest city in Africa, there’s no doubt that Cairo has a reputation that proceeds it. But what that reputation is can differ widely depending on who you’re speaking to. Yes, love it or hate it, Cairo is a city that seems to divide opinion like no other. I’d heard both sides of the coin before I finally got to this mammoth metropolis – my last destination in Africa after journey the length of the continent’s east coast – and to be honest I really wasn’t sure which side of the debate my heart was going to fall. And to be totally honest, I’m still not 100% sure! But perhaps this is Cairo’s appeal – it’s bustling, bursting, buzzing busyness wraps around its World Heritage attractions in an utterly all-encompassing way; it’s “not the Middle East”, it’s “not Africa”, but it’s both at the same time! So let’s just say, love it or hate, you’ve got to give Marmite Cairo a try. Even after 9 months in Africa, I can safely say, there’s nowhere else like! Now that’s gotta be worth a visit! My stay at Bella Luna Hotel and my trip with Cairo Day Tours were kindly sponsored, but as always, all views are my own. Of course, first on the list, it has to be the big daddy of them all! Cairo’s most famous attraction, and rightly so, the pyramids of Giza are one of life’s bucket list greats and truly have to be seen to be believed. 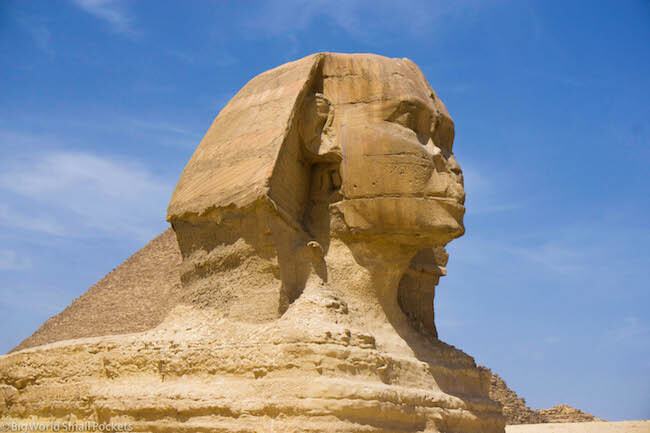 Heading here and allowing several hours to explore the area, which includes a museum and the Great Sphinx too is an absolute must while in Cairo. Giza sits on the West Bank of the Nile, as opposed to Cairo, which sits on the East, but getting here is easy enough. Independent travellers can take the metro and then a bus, but I’d highly advise heading there with a guide as the way to go. Unbelievably good value for money, your appreciation of these 5,000 year old monuments will be all the more significant if you have someone to explain their history to you! Tours also tend to include entrance fees, lunch and aircon transport, which is an absolute godsend in this steaming desert country! 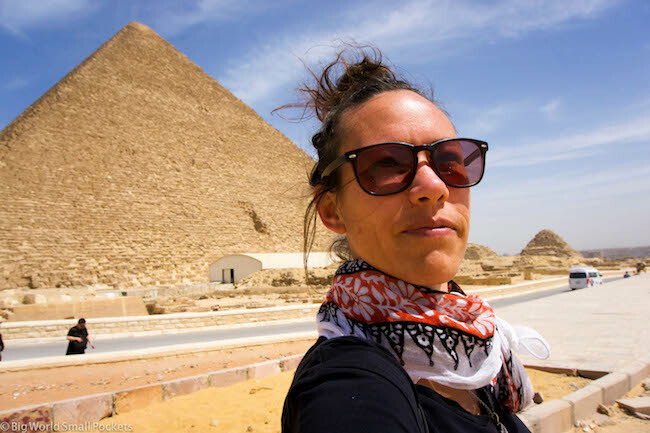 I headed to the pyramids with Cairo Day Tours and can highly recommend them for the excellent value they offer and great service. Supposedly one of the greatest museums in the world, it’s not hard to understand this grandiose accolade when you walk inside the Egyptian Museum. 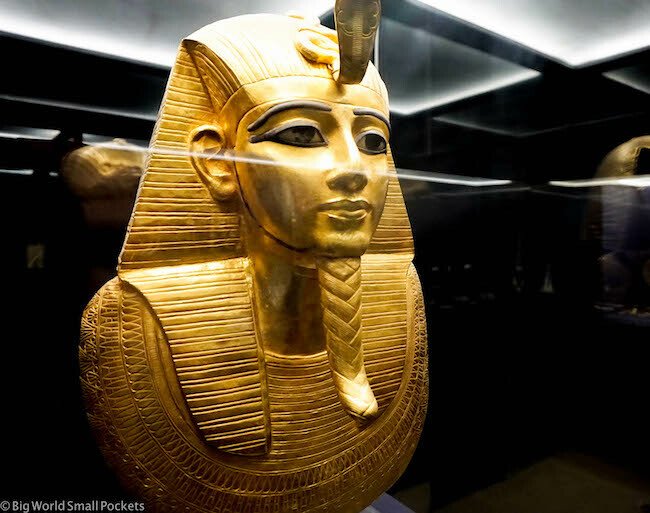 The country’s leading exhibition of ancient treasures, just about anything that was salvaged from a tomb, temple or pyramid was brought to Cairo and is now housed in room upon room of amazingness here! Costing foreign visitors just 120 LE (around $6 USD) to get in, this is a real steal for what may be the earth’s greatest collection of ancient artefacts. From Tutankhamun’s gold burial mask to the mummified bodies of several pharaohs, this is definitely one the of the best things to do in Cairo. Do be aware the Mummy Room costs an extra 150 LE to enter and a camera will alos cost you 50 LE to take in – even though you can’t snap either of the top draws mentioned above. Regarless, you want to allow at least 2 hours for the Egyptian Museum. 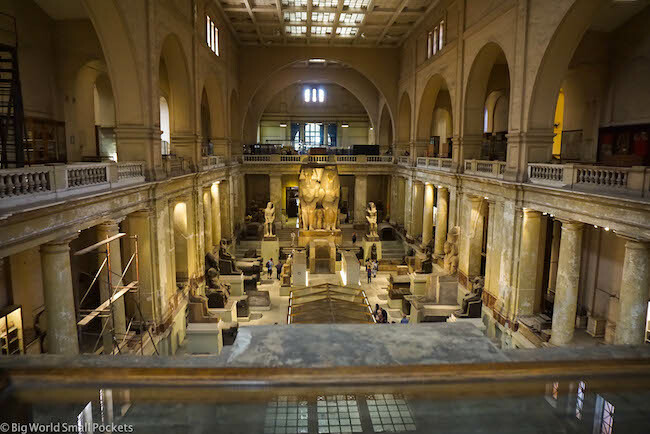 Guides aren’t mandatory – although this may change when the snazzy new Egyptian Museum opens in Giza, replacing the current building, whose crumbling walls feel almost like an exhibition in their own right. 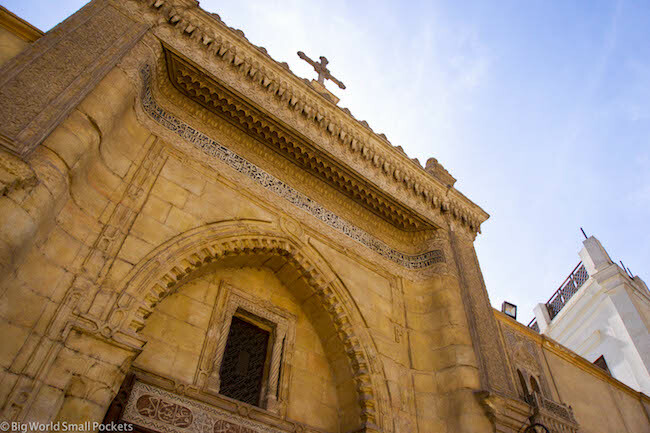 A walk through the Coptic area of Cairo is a fascinating half day trip, that will help you become familiar with the ancient Christian roots of this land and marvel at the modern days churches that still survive. Top of the list is the Hanging Church, which sits above ancient Roman ruins and is really beautiful. 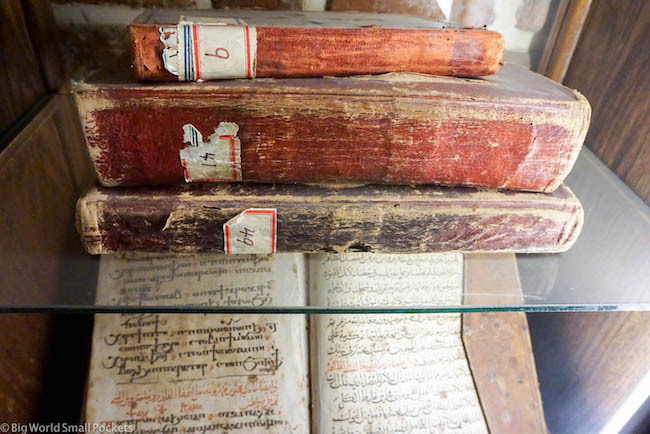 The Ben Ezra Synagogue, Coptic Museum and Cavern Church (where Mary, Joseph and Baby Jesus are meant to have stayed for 3 months in their bid to escape King Herod) are also worth a look. 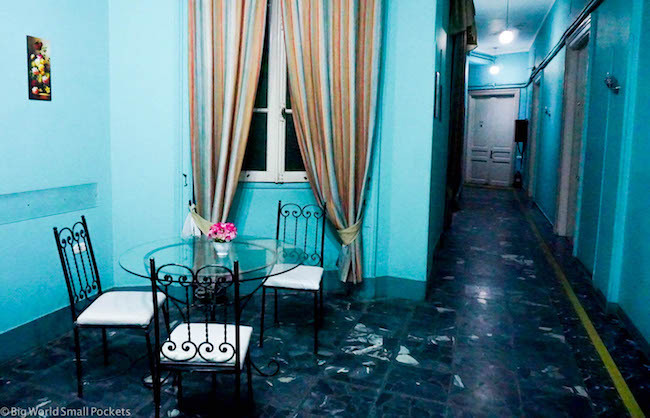 During my 4 days in Cairo, I stayed at the wonderful Bella Luna Hotel. 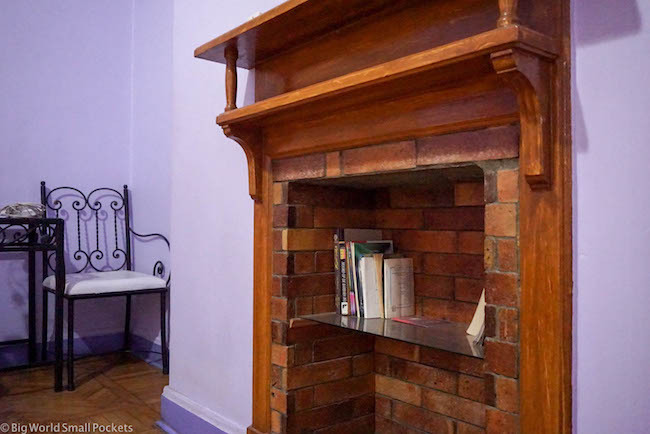 With a top location, super friendly staff and spotlessly clean rooms, it was a steal for the price. Breakfast is included in the very reasonable rates and you’ll get your own ensuite room with a balcony! Plus, the wifi the speed is lightning! 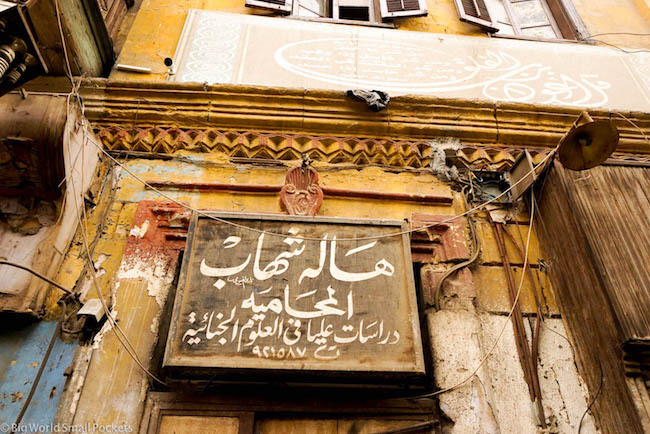 One of the oldest parts of the city, Islamic Cairo is an absolute must on your list of the best things to do in Cairo. From its beautiful mosques to its bustling markets and winding old streets, it’s a real living, breathing part of the city that brings history into the modern world. Getting lost here is part of the adventure, but just don’t forget your camera as it feels like almost every corner has a story to tell. 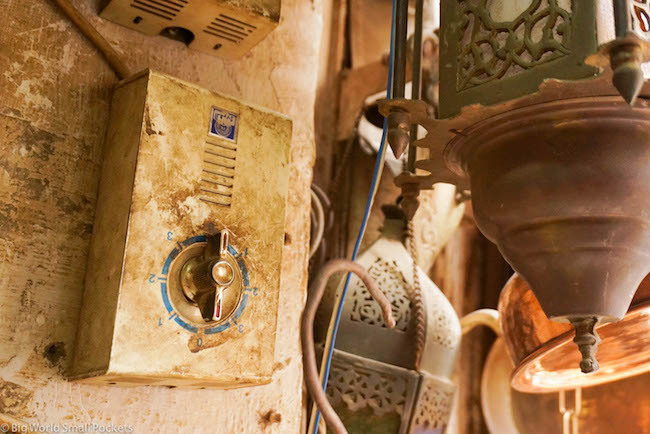 Top of my list is Muizz Street – rumoured to be the oldest in Cairo and littered with “antique” shops, old city walls and mausoleums. Personally I thought the famous and nearby Khan-al-Khalili market was overrated, but it’s worth a look for the bucket list’s sake. 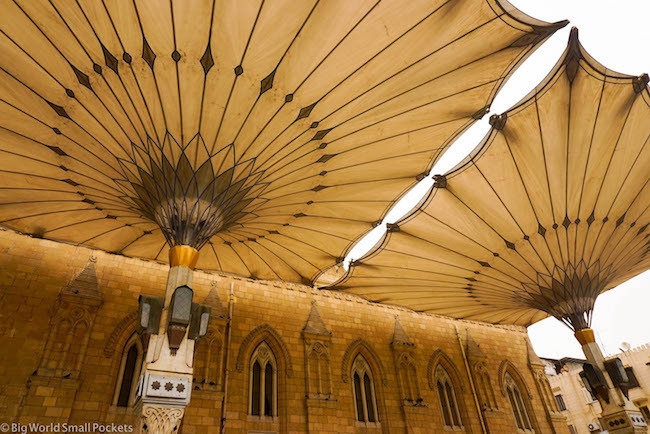 If you want to explore Cairo’s Islamic quarter with a guide, then check out Cairo Day Tours, who can make you a personalised itinerary for a great price. 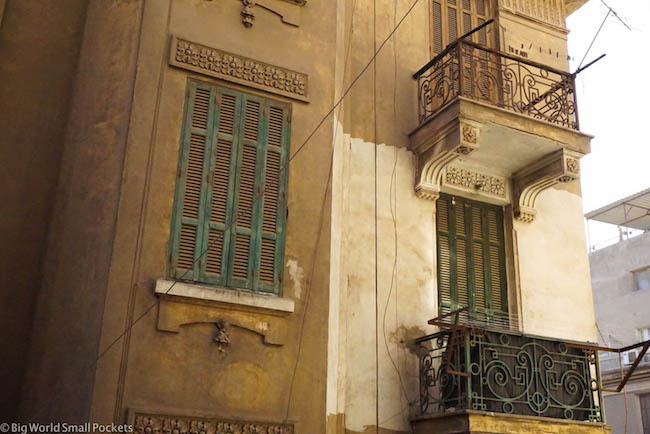 Surprisingly, given its Egypt’s second city, there’s not a huge amount to see in Alexandria, but what is there are a few gems you can easily see as part of a day trip from Cairo. Just hop on the bus or the train there and enjoy a few hours strolling this Mediterranean town, its famous library, great museum and multiple cafes. Another great trip from Cairo and definitely one of the top things you should do when in this city is take a day trip to Saqqara. Near the site of the ancient city of Memphis – capital of the Old and Middle Kingdom in Egypt – Saqqara is home to the oldest stone monument in the world! Known as the Step Pyramid of Zoser, deceased pharaohs and their families, as well as important generals and sacred animals were buried and then found here. Delightfully free of crowds compared to the pyramids of Giza, heading here is a must if you have a day to spare in Cairo. Almost every night the Opera venue in Cairo – which does far more than just opera – has several venues, including 1 open air one that has great live music. 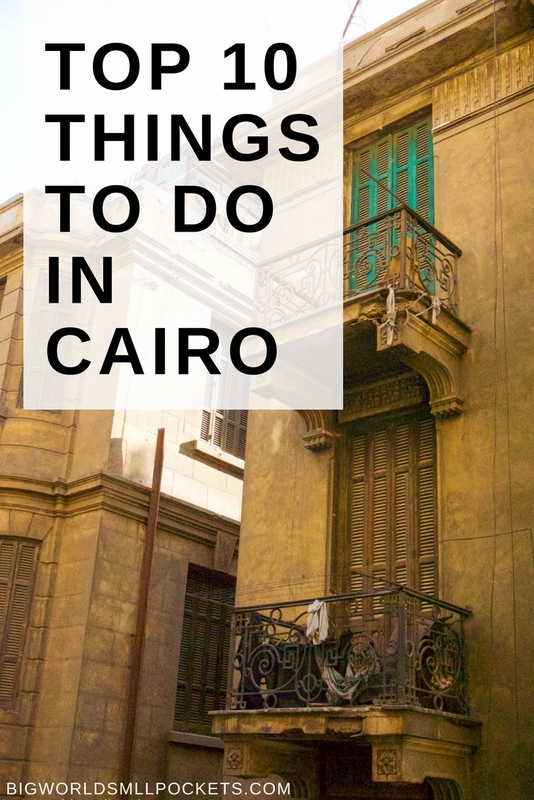 Heading here or going to one of the city’s other live music venues including Makan, The Space Art Room or the Cairo Jazz Club is a definitely one of the best things to do in Cairo. #1 Egypt Lonely Planet – An excellent resource when it comes to finding out the history of what you’re seeing in Egypt without the need for a guide, the Egypt Lonely Planet is a must. #2 Headlamp – Great for taking into tombs to get an even better look at the amazing artwork and inscriptions. I love my Black Diamond Storm, which has served me super well here. #3 Sun Hat – Temple viewing means many hours in the hot sun of Egypt. Do yourself a favour and bring a wide-brimmed hat to protect yourself. I love this Hello Sunshine design. #4 Egyptian Arabic Phrasebook – Egypt has its own slant on Arabic, so even if you know some of this language, an Egyptian Arabic Phrasebookwill help you out a lot. #5 Travel Insurance – A good idea whenever you travel in Africa, I love Travel Insurance from World Nomads and have used them throughout my time in Egypt and beyond. A super popular thing to do in Cairo is check out a belly dancing show. Personally not my cup of tea, or so I thought, but this spectacle really is quite the show! You can even combine it with a Nile cruise and dinner if you really feel like splashing out. From tamia to ful, hummus to kushari, Egyptian food is cheap and delicious. 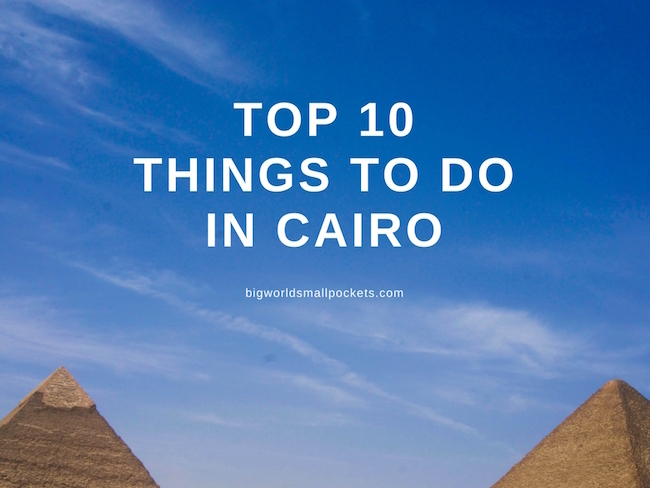 Cairo is a great place to sample it and there’s few genuine cultural experiences as fun as queuing up with the masses at a busy takeaway joint like Kazaz or Akher Sa’a to get your fill. 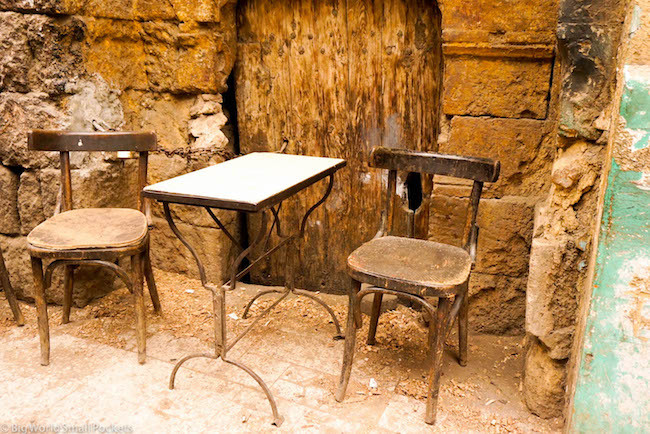 The land of the coffeehouse, Cairo is jampacked with amazing places to enjoy a thick Turkish coffee, people watch and enjoy the world passing by. If you fancy an espresso more than a Turkish coffee, expat favourite Kafein, in Downtown Cairo, comes highly recommended. I can also vouch strongly for the fresh melon and mint juice here! Combining this in the evening with smoking a traditional Egyptian sheesha and perhaps watching a football game is the perfect way to get into the spirit of this city. The Odeon Palace in Downtown Cairo is a great place to do just this. 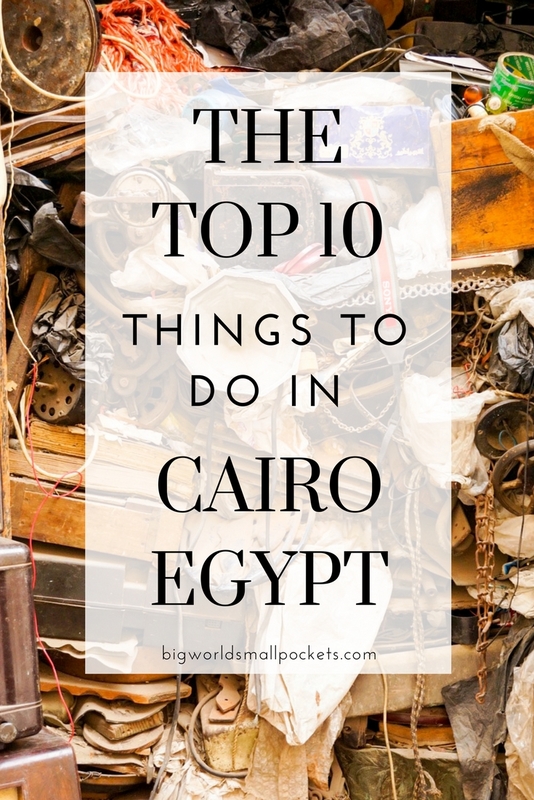 So there you have it, my list of the 10 best things to do in Cairo. Have you visited this crazy city? Really appreciable post you had shared here. I hope you will keep updating us.